St Margaret’s Chapel, Edinburgh Castle, Scotland. Built in the 1000’s, it’s the oldest building in Edinburgh. Despite having been used for gunpowder storage for a time, it escaped the destruction that the rest of the castle suffered many times over. It stands at the central highest point in the castle grounds so it’s well protected, and since Queen Margaret had been sainted, even enemies were loathe to destroy this sacred building, dedicated to the memory of the beloved queen famed for her piety and charitable work. Decorated medieval arch in St Margaret’s Chapel. Three of the walls and this archway are original to this ancient building, and the walls, interior of the nave, doorway, and stained glass windows adhere to its Romanesque style. Interior of St Margaret’s Chapel, Edinburgh. 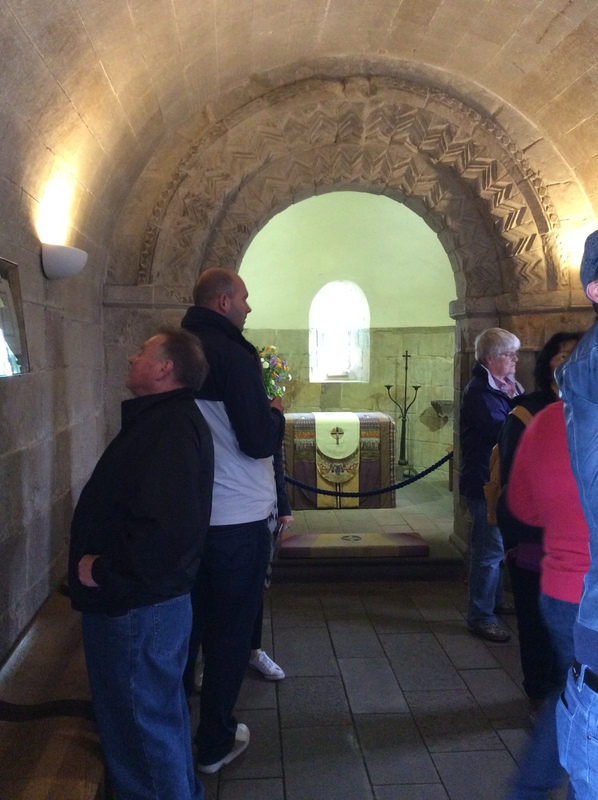 You’ll notice my photos are mostly close-ups: for my entire visit to the Chapel, visitors were flocking to this beautiful and ancient little gem of a place with its romantic history. It was all I could do to find unobstructed views to photograph. 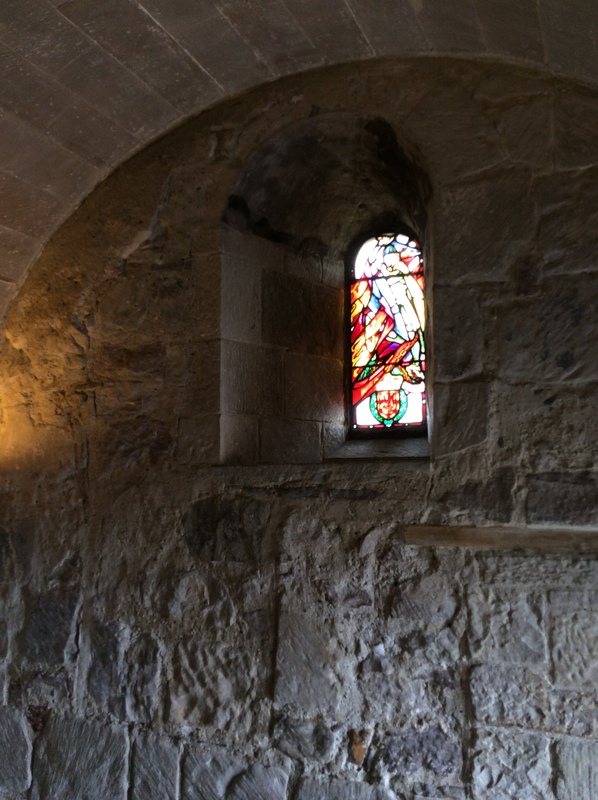 Stained glass window (not original) in St Margaret’s Chapel, Edinburgh Castle. ‘St Margaret’s Chapel, Edinburgh‘. In Wikipedia, The Free Encyclopedia. Wilson, Daniel (1886). “Notice of St Margaret’s Chapel, Edinburgh Castle“. Sir Daniel Wilson discovered the chapel in 1845. I took these photographs while on a journey to Edinburgh in 2014 following the life and ideas of David Hume; for more about Edinburgh and Hume, click here. This entry was posted in Photobook, Written by Amy Cools and tagged 1024, David Hume, Edinburgh Castle, History of Scotland, King David I of Scotland, Queen Margaret of Scotland, Romanesque Architecture, Royal Mile, St Margaret's Chapel. Bookmark the permalink.